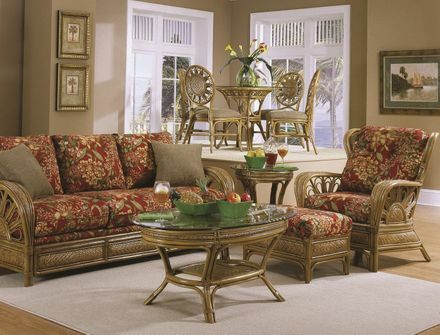 The Grand Cayman Rattan collection is a combination of pole rattan with close caning on a wood frame. The styling is traditional rattan and the look is classic. Choose from a sleep sofa or standard sofa and matching pieces.